“I got a call from Hawaiian Airlines asking if we had any students or alumni that could do an upcycle challenge, and I thought, with what? Then they proceeded to explain that student designers would be given first and coach class seat covers to create wearable clothing. I accepted. 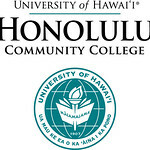 Our students can do anything,” shares Joy Nagaue, Professor of the Fashion Technology program at Honolulu Community College, and 2014 Hawai‘i Governor’s Fashion Award recipient. Hawaiian Airlines recently rejuvenated the interiors of their Boeing 717 aircraft with a new retrofit design. 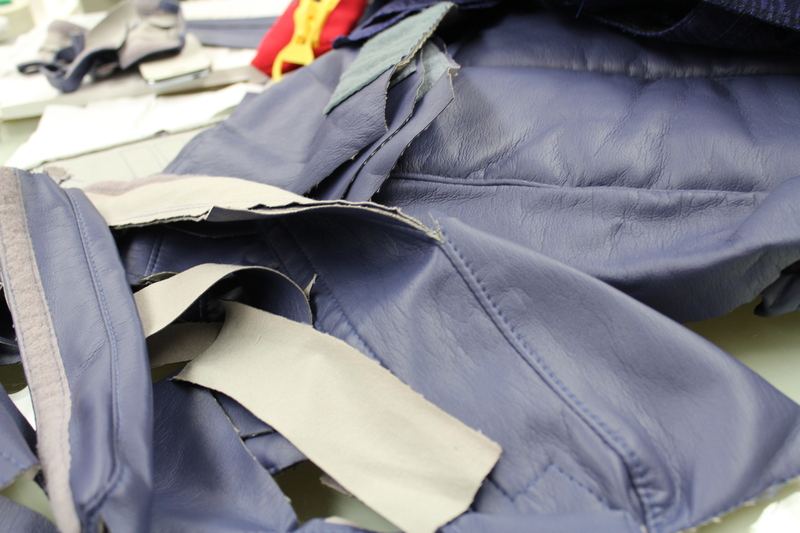 This partnership between the airline and the college is to repurpose seat material, in a creative way that demonstrates social and environmental responsibility. Three Honolulu CC alumni were hand selected by Nagaue to take on the challenge: Jacky Lau, Chai Lim and Randy Oribello. In the future, Jacky hopes to move closer to the heartbeat of the fashion industry – New York. In the mean time Lau comes back to Honolulu to take elective courses in fashion to keep his skill level sharp. Chai Lim graduated from the Fashion Technology program in 2013. He is currently working at Tori Richards, a resort lifestyle clothing line, as a Gerber pattern technician. 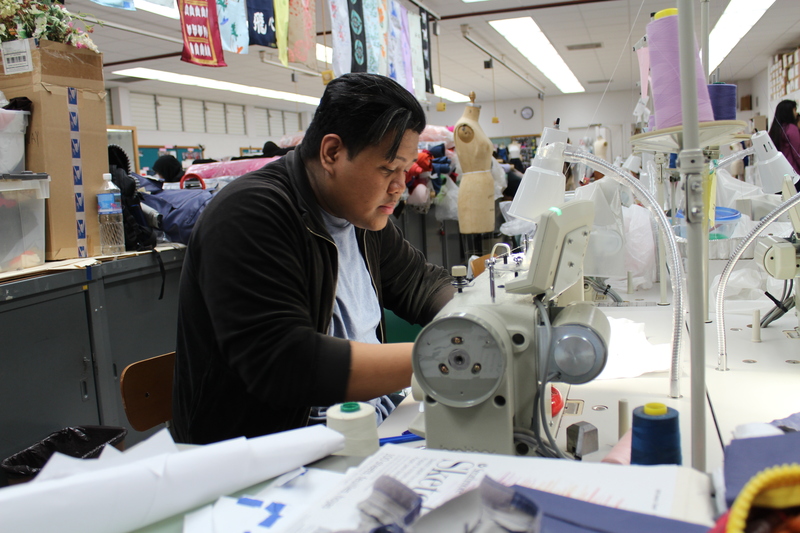 Working in the industry straight out of college was an eye opener, but for Lim he felt confident with the skills he obtained in the fashion program to be successful on the job from day one. “I was an international student studying at Kapi‘olani Community College taking liberal arts classes. 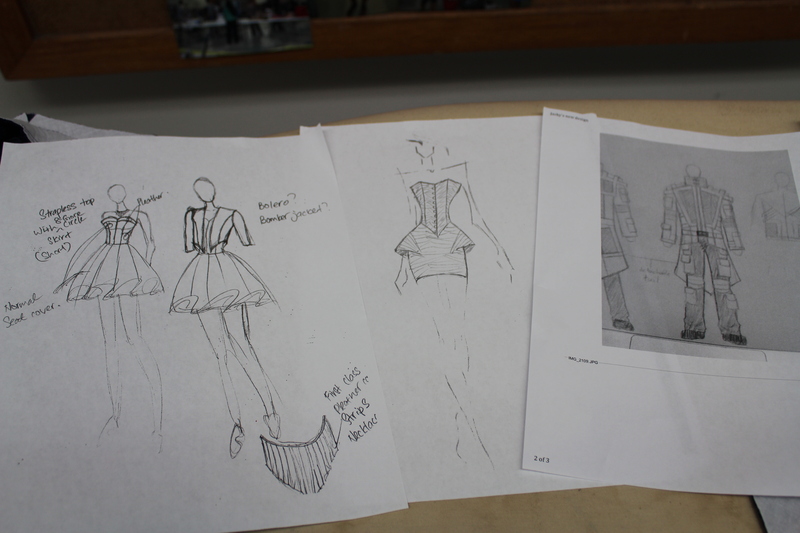 I’ve always loved design and sought out a program that would fulfill that passion. I called Ms. Joy and she showed me around the fashion lab and talked to me about the program and the rest is history,” explains the Singapore native. For Lim this Hawaiian Airlines project is his way of giving back to the community and the program that helped him live out his passion. 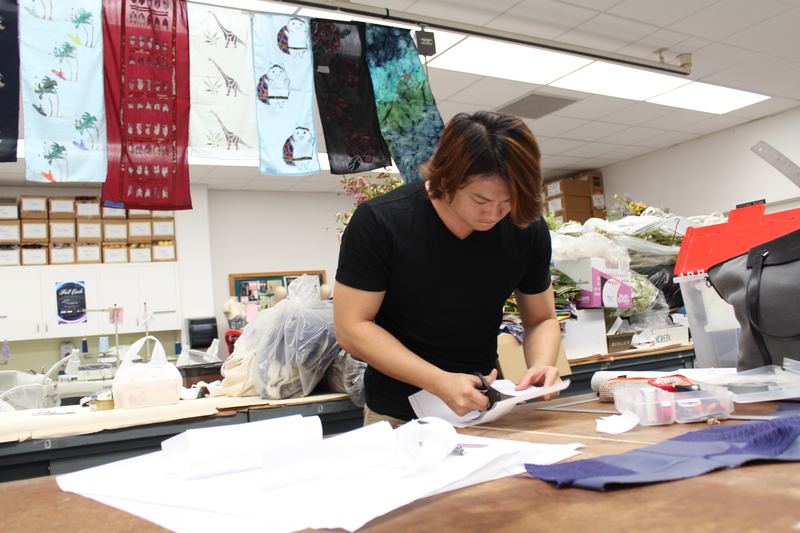 Since 2011, Oribello has been working at the Disney Aulani Resort as a tailor in their costume department. He gets to fit Mickey Mouse, among other famous characters, and construct garments worn for the parades at various Disney resort theme parks around the globe. “We are so proud of our alumni and their accomplishments. Not a week goes by that I don’t get a call or a visit from a graduate of our program. We teach all our students practical, useable skills in the industry so that they are ready to hit the ground running once they leave us,” Nagaue explains. See Jacky, Chai and Randy along with their wearable Hawaiian Airlines Cabin2Couture designs during HONOLULU Fashion Week presented by Hawaiian Airlines November 20-22, 2015 at the Hawai‘i Convention Center. 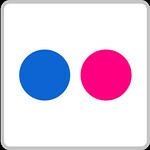 For more information on HONOLULU Fashion Week, visit www.honolulufashionweek.com.